The ace lawyer says the ambiguity in the Jan. 17 notification on “compelling circumstances” EAD leaves much to be desired. Sheela Murthy. Photo credit: Bala Chandran. 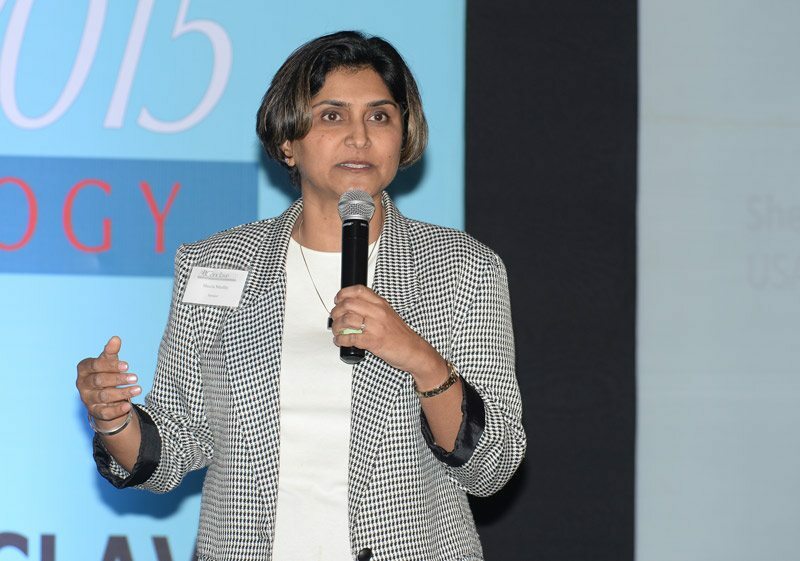 Prominent immigration lawyer Sheela Murthy said that it is likely that the Trump administration could reverse the work authorization for spouses of H-1B visa holders. The US Citizenship and Immigration Services began issuing Employment Authorization Document (EAD) to H4 visa holders in May 2015. The work authorization for H-1B spouses, who enter the United States on H4 visa, came after much deliberations. The Obama administration issued an executive order in 2014 to allow work authorization to H-1B holders in line for green cards or permanent residency. The decision was made realizing the economic hardships that H-1B spouses bear, though being highly skilled and job eligible. Only those H4 visa holders who are the beneficiaries of an approved Immigration Petition for Immigrant Worker (Form 1-140), or those who are the spouses of H-1B visa holders who have got an extension of their authorized period of admission in the US, beyond the permitted six years that is eligible for EADs. But allowing H4 visa holders to work has been controversial right from the beginning. An anti-H-1B group, Save Jobs USA. challenged the move in court. As The American Bazaar reported last month, the administration asked for 60 days to come up with a position on the issue. Murthy, based in Owings Mills, MD, said the USCIS may even tighten the I-140 EADs given under the so-called compelling circumstances. Murthy said “we were hoping for a much more literal interpretation” of what a “compelling circumstance” is and the absence of that leaves much to be desired. “[Since] we never had any cases because the law only became effective only from 17th of January, whether they will define compelling circumstances so narrowly as to almost — allow nobody to go through barring some kind of weird unusual humanitarian kind of situation as opposed to a much more broader [definition],” she said. India is a main beneficiary of the H1B visa program, with as much as 70 percent of visas in these categories issued to Indian nationals. The Trump administration is already in a repealing spree to reverse several of Obama-era regulations. In February, it requested for a 60-day time to respond to a court case filed by on reversing work authorization of H4 visa holders. This, however, is now looked as an initial sign for bigger changes to non-immigrant work visas. Please remove h4 ead. It is taking the jobs of OPT and H1b holders. If they are very talented they can go from F1 status to H1b. So that they will know the pain of how F1 students and H1b’s are facing! As h4 ead people work for cheap so the graduated students are not getting jobs. Look here..if you guys are truely competitive , then come down to the market and apply for job.No one can halt you applying for a job. If you are really talented no one can prevent selecting you..It is up to you..You should win fight against various competitors . World has been changed .It is competitors market now. Stay stronger to fight rather than involving in cheap criticism. Good Luck !!! Going against H4 ead is terrible for the economic freedom of an H1B spouse. It either means families have to be torn or binding your spouse to home. This is pathetic. H4 EAD will definately be revoked. An Indian techie has written a non-partisan process report in this link. H1B abuse needs to stop and legal immigrants on the path to green card need to be treated better. 20 years wait time for Employment based green card and not allowing your spouse to work is illogical. H4 EAD is an incredible deal for H-1B spouses. The H4 EAD have literally no limit on where they work, what they can do, businesses they can start, so long as their sponsoring spouse holds an H-1B. A huge amount of these Indian males married highly skilled spouses, so each H-1B is often taking up to TWO well paying AMERICAN positions, often displacing TWO US permanent residents. Those Silicon Valley Oligarchs have met their match in President Trump. The cheap labor train from India is about to come off the tracks! Looks like the H-1B party might be over. H1b ends? Hopefully H1b and L1 are severely restricted to truly the best and brightest people. I mean whoever comes on this visa should be truly exceptional above and beyond the average standard expected for the position. I would say less than 1% of the current applicants qualify. 99% should be just sent back with their visas revoked.